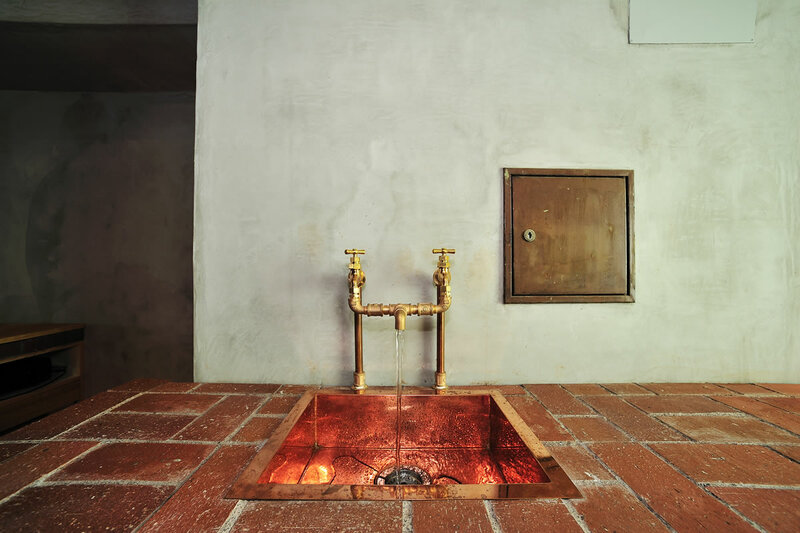 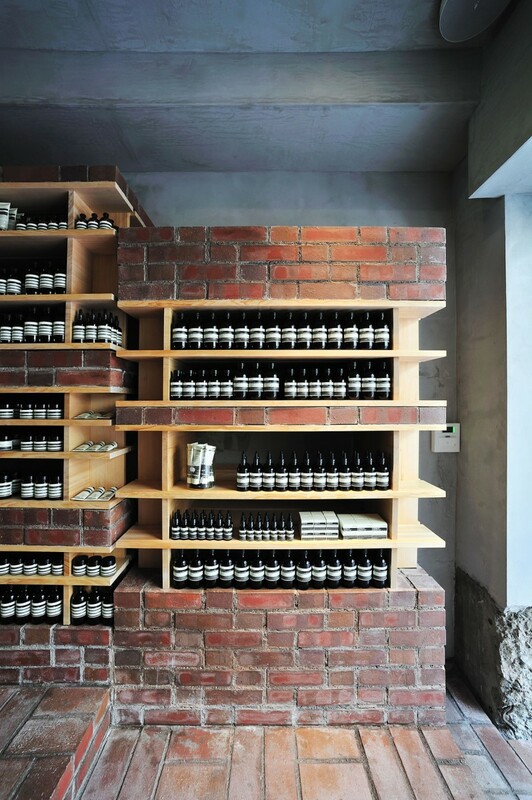 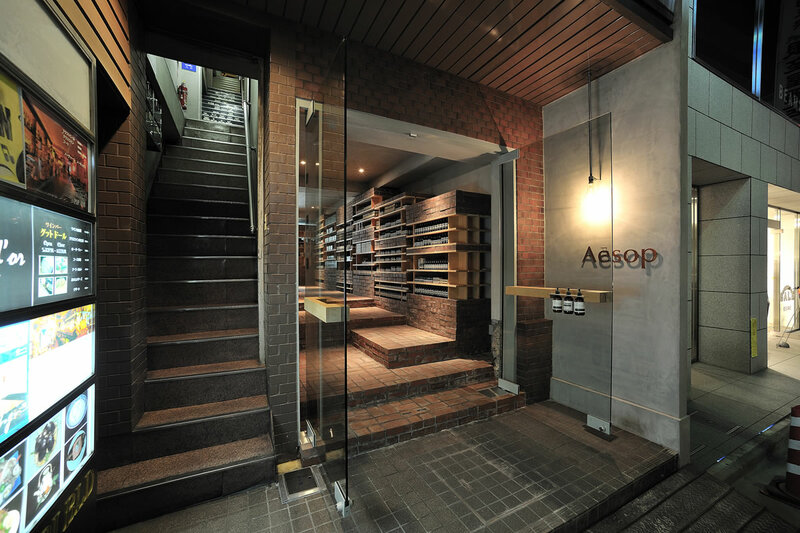 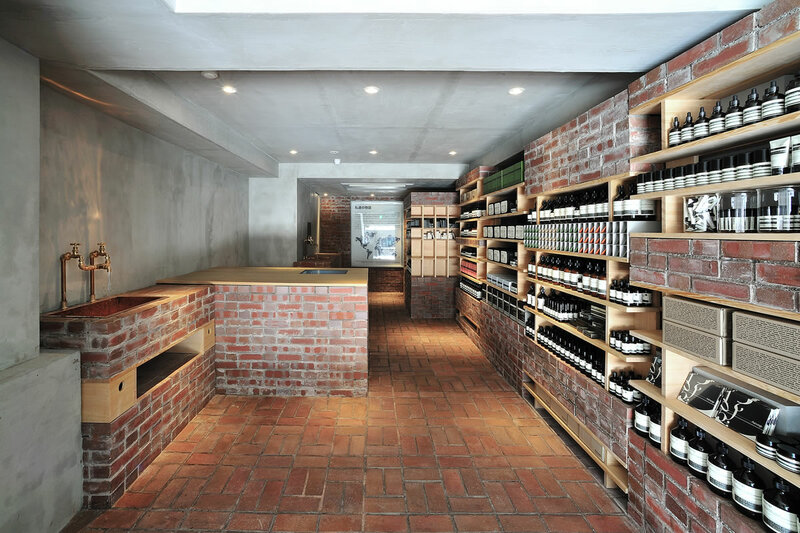 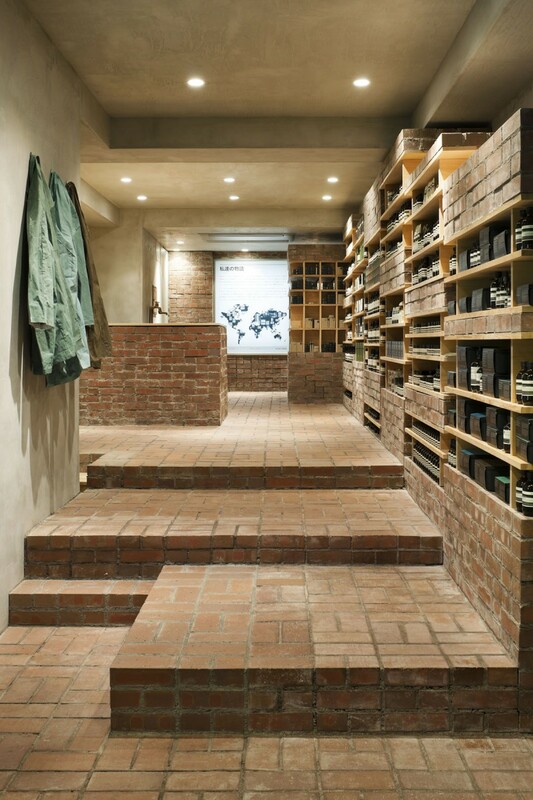 Brick is the main material used for the design of Aesop Ginza, the second boutique of Aesop. 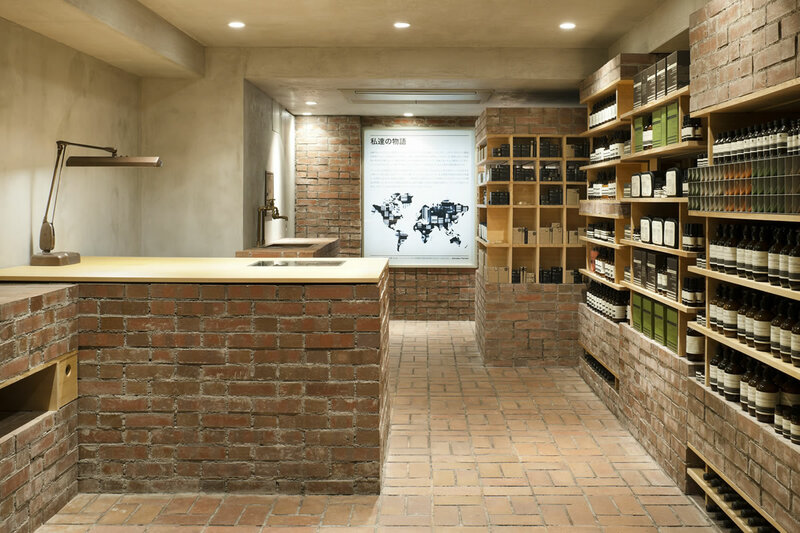 Located on a street called Brick Street (Renga Do-ri) in Ginza, the exterior walls of the 35-year-old building are covered with brick. 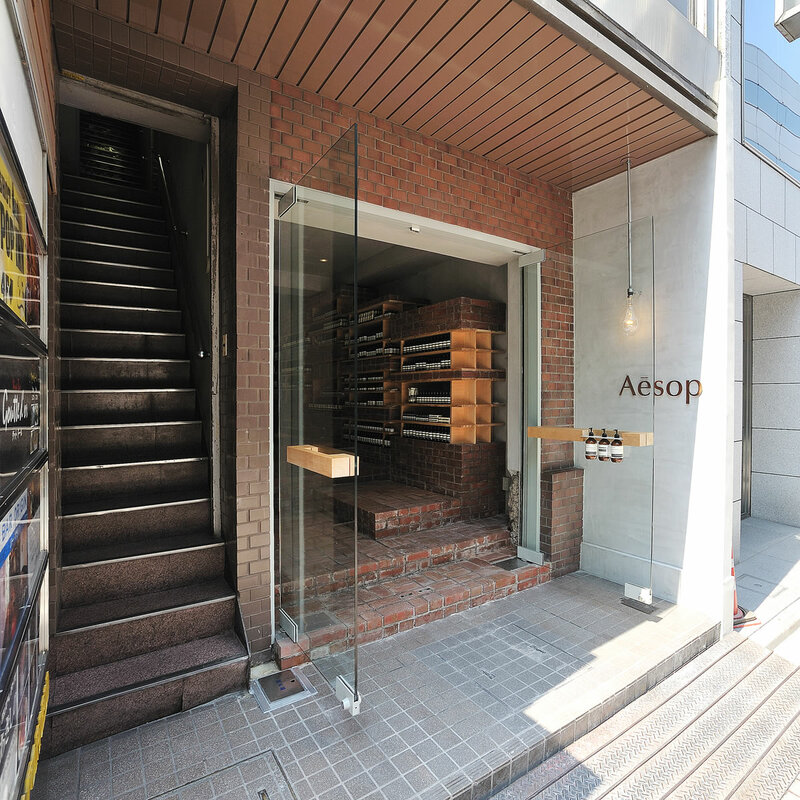 A narrow frontage like this building tends to be less eye-catching, but the brickwork of the exterior walls has been continued into the interior space, creating a distinct atmosphere of an iconic store. 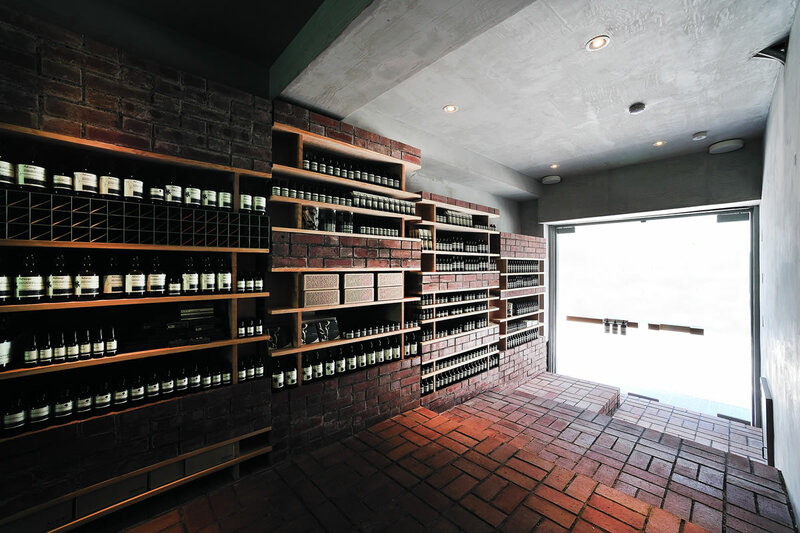 Brick is usually applied to a plane, such as a wall or a floor, but here we used it continuously from vertical to horizontal surfaces.